She's on the track team at an all girls school. Very popular with the girls because she's a bit of a tomboy, very sweet, and approachable. Due to excessive bulling in elementary school by a group of boys, she's been going to all girl schools since. It's given her a bit if fear of boys her age, or younger. 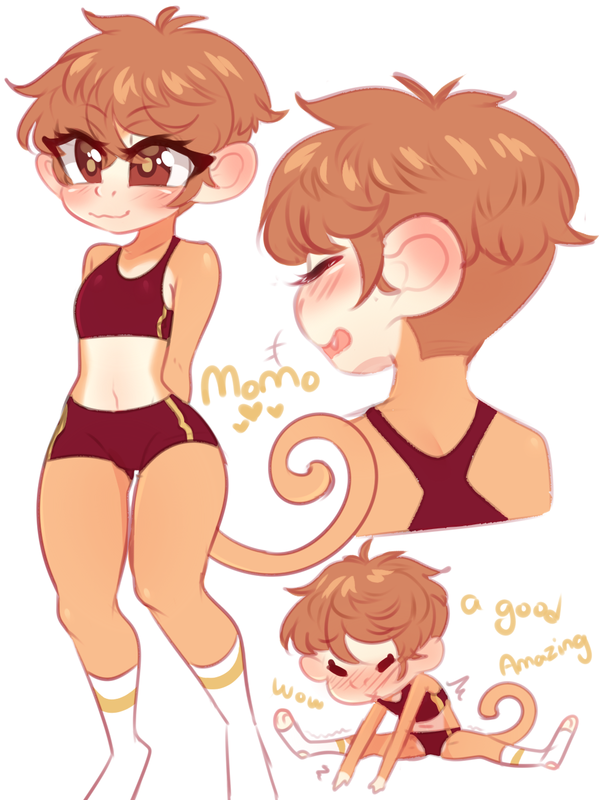 They can be, Momo's pretty friendly, especially to girls! There aren't enough monkey girls on Ink Bunny. Goku gets lonely! Ooh lala~ There aren't enough monkey girls on Ink Bunny. Goku gets lonely! I don't usually like monkeys… but, good-golly, is she a cutie~! Max would totally hang with her! Another tomboy to climb trees and chill with is awesome!